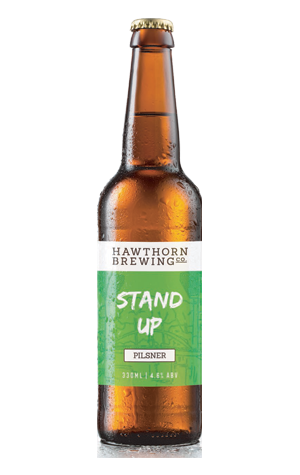 The beer formerly operating as the pilsner in Hawthorn's range was one that took its lead very much from Europe. As part of the brewing company's revamp in 2018, while the malt base remained the same, in came hop varieties sourced south of the equator, namely Aussie Topaz and Kiwi Motueka. That said, it retains the sort of qualities that helped make its Northern Hemisphere equivalents an all-conquering beast. The hop aromas don't overwhelm the soft, honey-esque malts, while gentle lemon-lime flavours and a broad bitterness that settles in across the palate complete the picture.